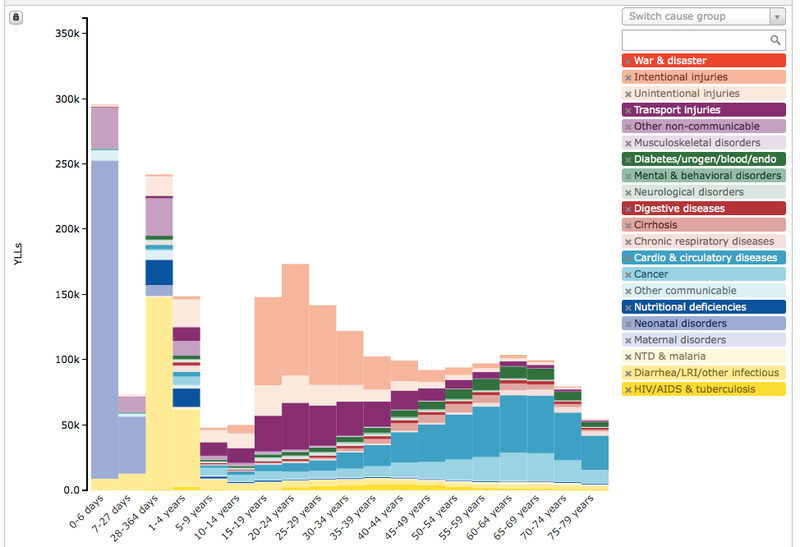 The University of Washington’s Institute for Health Metrics and Evaluations has a handy data visualization tool here on worldwide causes of death and disability. The Venezuela pages are somewhat startling. One key measure is Years of Life Lost: a statistical measure of the years of life a person would have been expected to live had they not died prematurely. 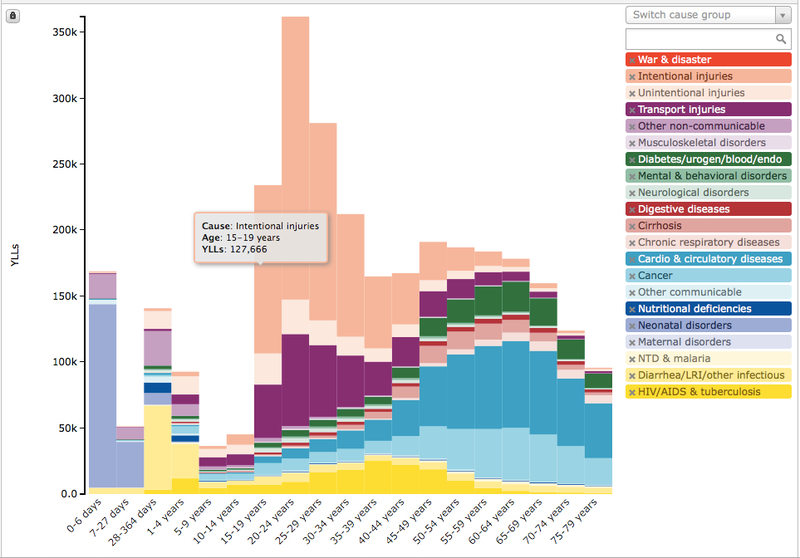 In IHME’s tool, the Y-Axis shows thousands of Years of Life Lost produced by deaths of people from a given age group, shown along the X-Axis. It takes a bit of looking, but the chart makes a bit of sense. The peach-colored strip on top represents Years of Life Lost, by age group, from “intentional injuries” (read: homicide and suicide). Now, here’s the same chart for 2010.